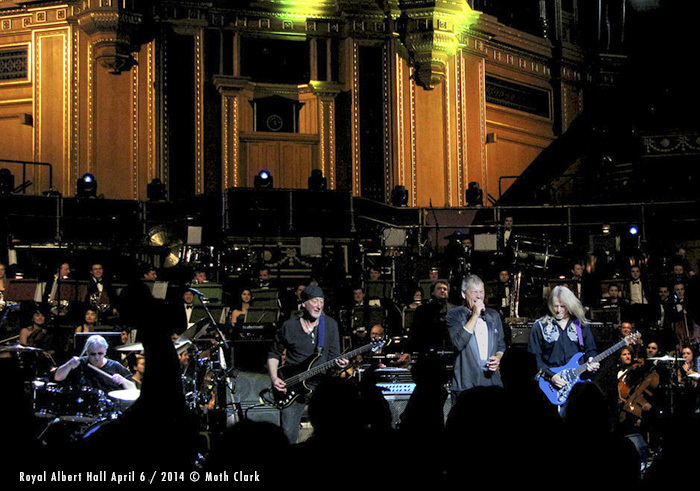 Some of the Purple guys at the Jon Lord show (photos by Moth Clark). The recording is being mixed at Abbey Road right now! Reviews of the show on the site here. 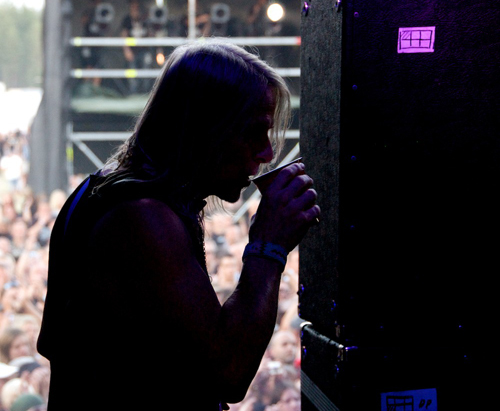 Bit of a solo-fest coming up from the Deep Purple camp over the next couple of months. 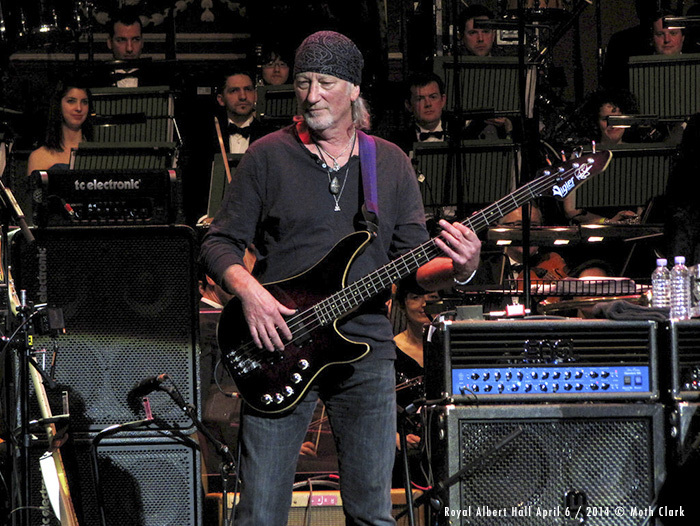 It’s been a good while since his album Snapshot, but Roger Glover‘s new record is finally slated for June release. The CD is called If Life Was Easy*. The last we heard of this it was ‘almost finished’, and that was in 2007. Maybe he’s waiting for the next issue of DTB… It’s also changed titles, originally he referred to it as Close Up. In contrast Don Airey* has narrowed the gap between his last solo album (A Light In The Sky*) and the next, and is looking as a possible April release in Europe. Further away there is the possibility of an all new studio recording of The Concerto later this year, which Jon Lord is sorting out. Over on the guitar front, Steve Morse has spoken of working with Billy Idol in the near future, and guesting on an Eric Clapton tour during 2011. Be very interesting to hear what he and ‘slow-hand’ could come up with together. 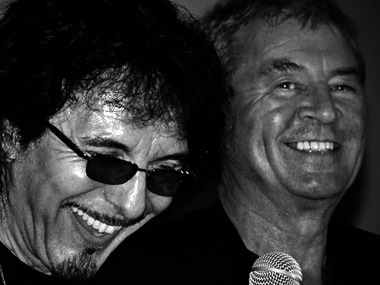 Finally the Gillan / Iommi ‘supergroup’ Who Cares (what a strange name!) 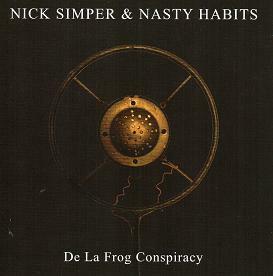 have a couple of tracks due out in March, though the formats and other info still hasn’t reached us. “On the flight home from Armenia we decided to write a song or two and form an ad hoc band – specifically for use on fund raising occasions – called ‘Who Cares’. Any live performances would be with a nebulous line-up and those plans are still on the drawing board, but we have made a move in the right direction by getting started with the writing. I visited Tony recently and we came up with a couple of songs that aren’t too horrible. 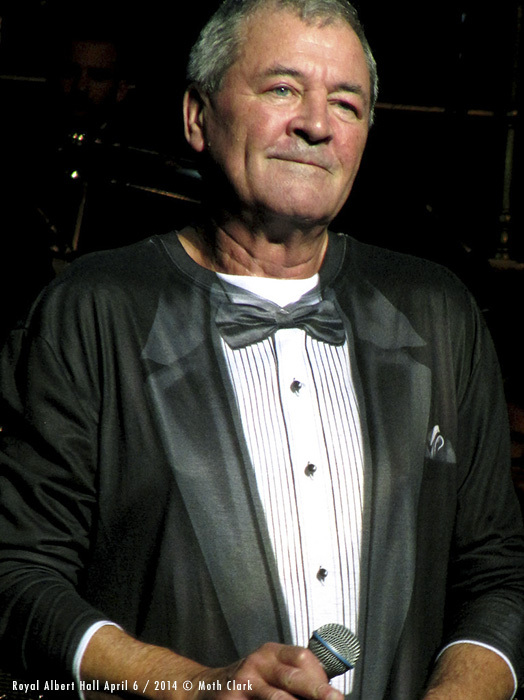 Hopefully we can knock them into shape in the near future”, Ian Gillan told an Aremnian news agency. This will further the Rock Aid Armenia fund-raising project they both began over a decade ago with the Smoke On The Water remix* (which has just been reissued in a new package with an extra remix). 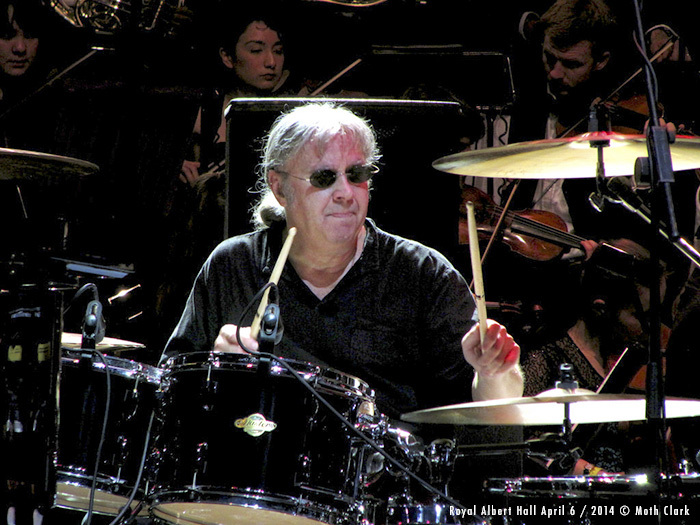 The two new tracks were cut in early October 2010, with a certain Jon Lord helping out plus Iron Maiden’s drummer Nicko McBrain. You can pre-order any of the above marked * via the DTBonline store. I was going through a nice gallery of shots taken by Christer Lorich‘s this morning. Christer has been with the DPAS for over 30 years now, so it’s about time I used one of his photographs I thought. He had access to the stage side views during one of this summer’s festivals. This shot of Steve Morse caught my eye, as it is a nice intimate spur of the moment image, different to a lot of the photographs you see of the man when out front. 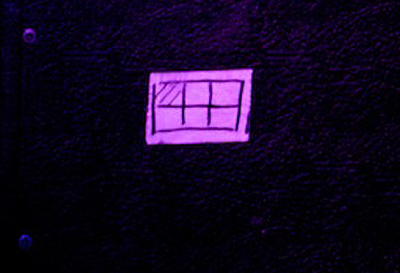 Then I wondered if the drum stand has a ‘this way up’ sticker on it, or maybe a ‘use other end’ on the drum sticks. Then the nurse came and dragged me off the computer. We’ll use one or two of Christer’s pictures in the next issue of Darker Than Blue and try to put a gallery up on the main site.